I have been a gamer since I was able to hold a controller. Back in the days of the Nintendo Entertainment System, the controllers were fairly small—luckily for me because I was too. I played games throughout childhood, but the game systems always belonged to my brother and I never got to play them as much as I would have liked. It wasn’t until the summer of 1999 that I became a true gamer. After seventh grade, my mom had promised to buy me a PlayStation if I did well in school. I got all A’s and B’s that school year, and shortly after the year ended, I got my first gaming system. The first two games I owned were Blasto and Jet Moto 2. I played those games for hours along with the many games I rented from Blockbuster. Ya know, that store that used to be on every street corner but now is a shell of its former self; Yeah, that one. I remember they had a rent two, get one rental free deal that lasted all summer and me, my friend, and my younger sister rented just about every PS1 game they had in stock that summer. I played through Metal Gear Solid. I played Gran Turismo and Spyro the Dragon. I played Crash Bandicoot and WWF Warzone. In fact, that last game got me really excited about gaming. I had been a casual wrestling fan all my life but didn’t get really big into it until I played that game. I took this even further when I played WWF Attitude and my wrestling game addiction went full-circle after playing WWF Smackdown! when it released for the PlayStation in 2000. When WWF Smackdown! 2: Know Your Role came out in the fall of 2000, I sold my computer, which was an old 80s DOS Macintosh that was given to me by my cousin, to a friend for $45 so I could get a copy of the game. I’ve been hooked on the series (and wrestling games) ever since. 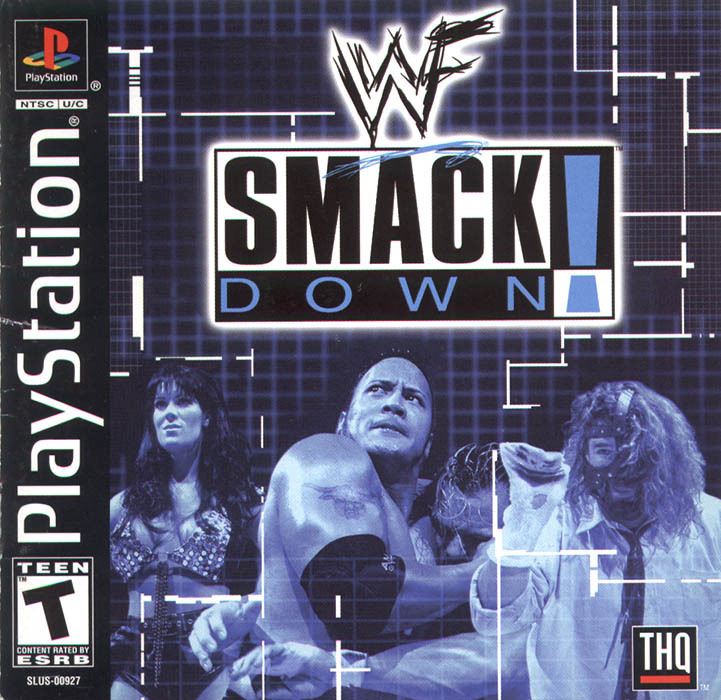 While I’ve discovered just about every other wrestling game and series and I also enjoy them very much, the Smackdown! (later called Smackdown vs Raw and now referred to as just WWE) games were the foundation of my love for wrestling games. I’ll be posting more about wrestling games and my love obsession with them in the coming weeks, but for now I’ll just say one thing: Wrestling games have been the sole reason that I continued gaming all these years. I don’t quite know what it is about them that keeps bringing me back, but I suppose it’s the same reason people play Call of Duty or Madden every year. Wrestling games have just become a part of my life and it’s my goal to play as many as possible. So what’s your yearly gaming obsession? Feel free to tell us in the comments.